Petrospection generally performs Settlement & Roundness Surveys in conjunction with a tank calibration. The data for both can be measured simultaneously. 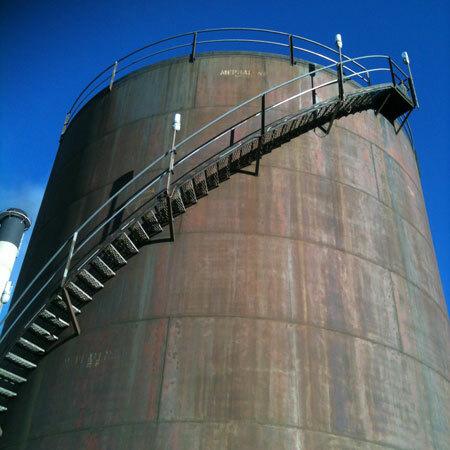 Many tank operators accept that a comprehensive tank settlement, foundation settlement and roundness survey is an important addition to NDT surveys in their tank inspection program. Petrospection Settlement and Roundness survey reports include graphical analysis, calculations and evaluation of results in accordance with the API 653 standard to assist tank operators in assessing the tank condition. Petrospection have developed the capability to perform settlement and roundness surveys by expansion of our tank calibration services and we are the only company in Australia providing the service with NATA (National Association of Testing Authority) endorsement. Our metrology laboratory is accredited to perform vertical tank settlement surveys and assessments to API 653, Appendix B and similar specifications and to perform roundness surveys to in-house procedures, ISO 7507 and similar specifications. In consultation with industry, we have developed software to produce a report containing the graphical representations and calculations required for convenient assessment of tank shell, floor edge and localised floor subsidence against API 653 Appendix B criteria.